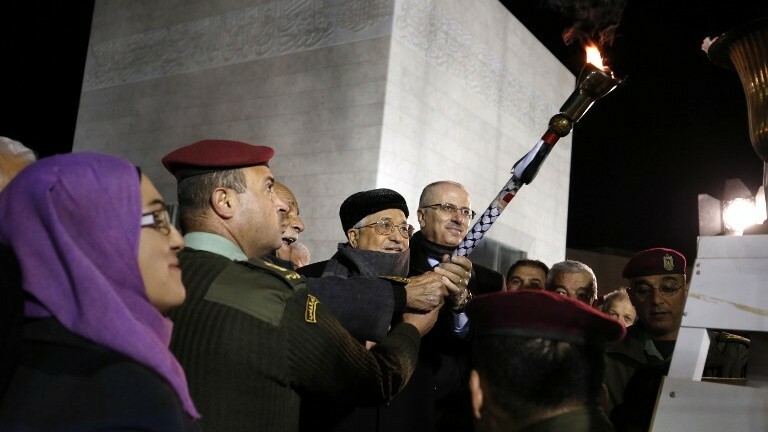 At a torch-lighting ceremony marking the 52nd anniversary of Fatah’s founding, Abbas hailed the recent UN anti-settlement resolution as a diplomatic victory. “The settlements are illegal, and in recent days, we were given an unprecedented decision regarding this issue,” he told members of his party at the ceremony, held at the grave of former PLO leader Yasser Arafat in Ramallah, Channel 10 news reported. The PA president said the Palestinians would not tolerate Israeli efforts to fool the international community, Israel Radio reported, and said that the government of Prime Minister Benjamin Netanyahu was building “colonies” in the West Bank and was seeking to perpetuate Israeli rule there, and racist discrimination against the Palestinians.